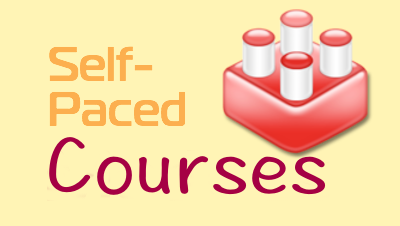 AEA Learning Online: Self-Paced Courses are here! Today is the day! 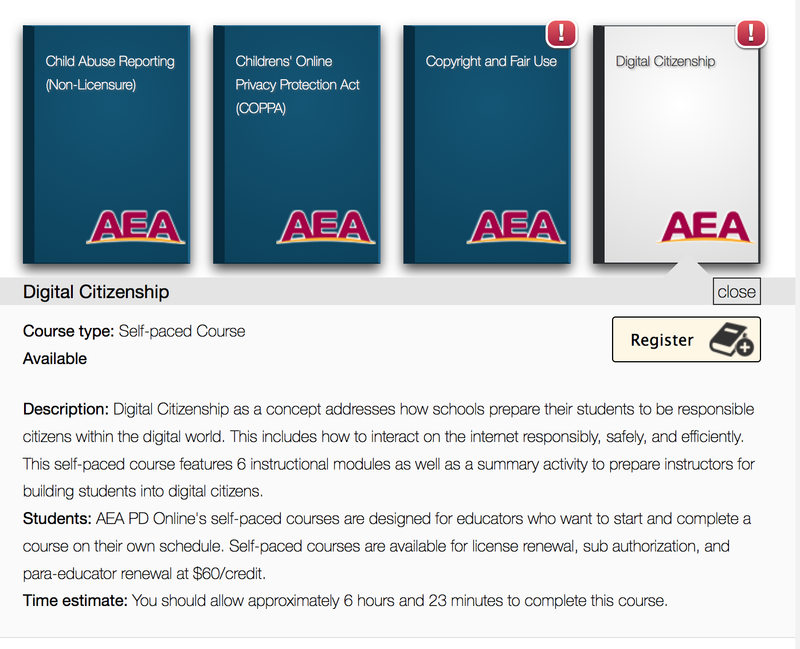 AEA PD Online introduces its first two Self-Paced Courses: Digital Citizenship and Using Iowa AEA Online's Resources. You can start these courses any time you would like. There is no need to wait for the next section. And you can proceed at any pace you would like as well. Want to finish it all right away in a weekend? You can! Or want to come back to it as you have time throughout your summer? You can do that as well. 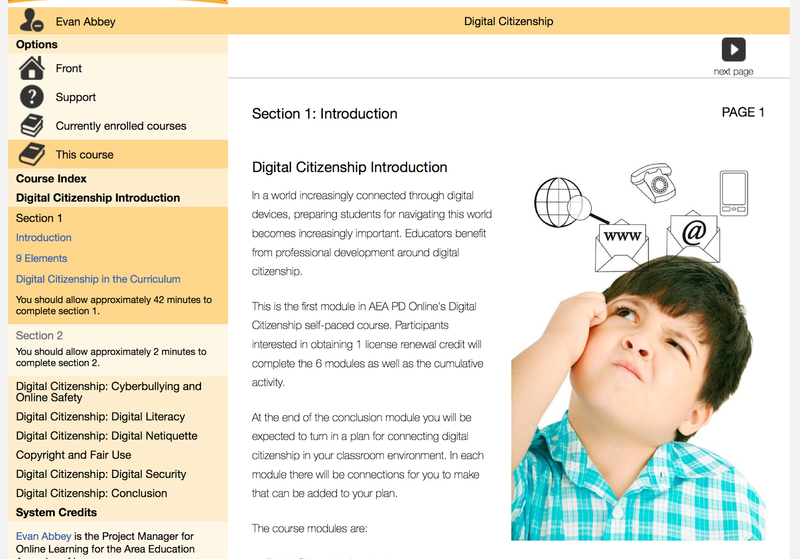 Each course has several self-paced modules on different topics, as well as different cumulative activities to explore your learning. And each course is available for one license renewal credit for a low price of $60. See our online training system for details on how to register!